South Korea suffers more than 10,000 residential fires every year and around 58 percent of homes do not have a fire extinguisher at disposal. And keeping that in consideration, and to solve this, Samsung subsidiary Cheil Worldwide designed a flower vase that doubles as a fire extinguisher; FireVase. FireVase, when fired at the source of fire, can extinguish in a matter of minutes. 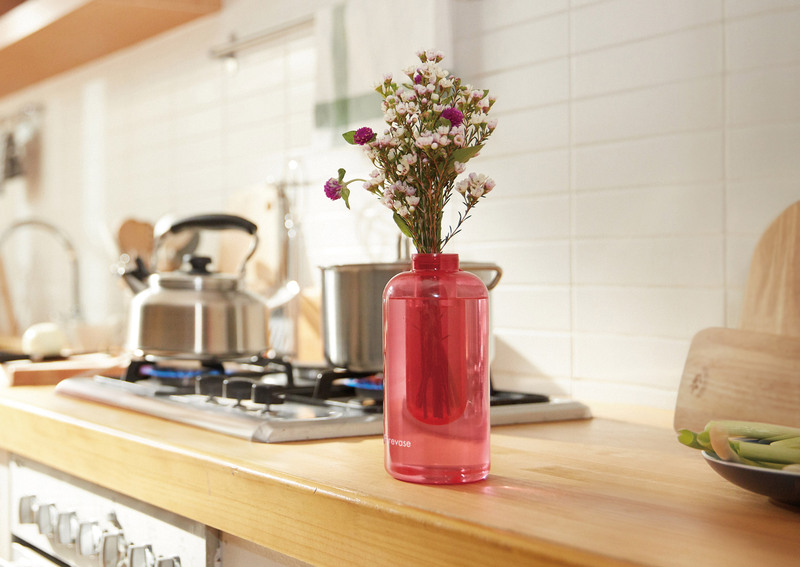 Samsung Fire & Marine Insurance Company has distributed over 10,000 Cheil produced FireVases across the South Korean homes in the period of September to December 2018. A celebrity featuring ad campaign video and ad print on 46 different media outlets helped to raise awareness about the product, receiving a huge positive response, and this has encouraged Cheil to double down their production of additional 20,000 FireVases. Aesthetically, FireVase might not look like a regular vase but a water bottle. However, this “water bottle like flower vase” has an extra chamber, in fact. The extra chamber has a chemical compound called “Potassium Carbonate”, which is an oxygen suppressant. And when thrown at a fire, this brittle in nature vase breaks open and releases this chemical compound, which then extinguishes the fire. Not to mention, there are already powerful and more effective fire extinguishers in the market and yet 58% of Korean homes don’t have it. Most of the times, even though the people have these fire extinguishers at home or places, it’s stored in hard-to-reach places where they are likely forgotten in case of emergency. However, on the other hand, this FireVase is handy and always in sight, on your working desk, dining tables or lamp table, helping to make a spontaneous life-saving call-to-action. Let us know your opinions in comments on this weirdly helpful innovation Samsung has come up with! Get LinkedIn Premium & LinkedIn Learning for FREE!